One of the oldest financial markets in the developed world, the Lloyd’s of London insurance market is one of the least understood by the wider investor public. Providing the capital to support the business of underwriting insurance risks can, with appropriate guidance and control, add significantly to returns over the medium term. The market has been extensively modernised and recently has enjoyed a strong track record of performance. WealthBriefing is joining forces with the Association of Lloyd’s Members, an organisation representing private investors in the market, to outline the opportunities and challenges of Lloyd’s, and to explain the relevance of the sector to wealth managers. An outline of how the market works and an explanation of the role of private investors, known as “Names”. Who are these people? Breaking down some of the jargon by explaining terms. The state of the Lloyd’s market and the investment returns. How does Lloyd’s compare against private equity or listed securities, for example? Is this more than just a niche market and what sort of private investors should consider Lloyd’s? What part should the market play in a person’s portfolio? What sort of diversification and correlation benefits can Lloyd’s investments offer? Why should a high net worth individual consider becoming a Name? Where in the world are the most significant investments coming from? What sort of investment time horizons apply to being a Lloyd’s name? Tax advantages go with being a Lloyd’s Name – what are they? What sort of minimum investment thresholds apply to the market? Chandon has worked in a number of Lloyd's Members' agents since 1989, including Christie Brockbank Shipton and Hampden Agencies. He has spent most of his career working as a syndicate analyst and, in more recent years, he has focused on marketing membership of Lloyd's to potential new Members. Tom Bolt joined Lloyd’s in September 2009 as the Director, Performance Management previously having been Managing Director of Marlborough Managing Agency, a Lloyd’s Managing Agent. In his role as Director, Performance Management, Mr Bolt is responsible for working with individual Lloyd's businesses to improve the commercial performance of the market. This includes monitoring each syndicate’s performance against its business plan and ensuring that the underwriting guidelines are adhered to. Mr Bolt has extensive experience in international insurance and reinsurance across the UK, US and Europe, having spent 25 years at the Berkshire Hathaway Group. This included senior roles in Berkshire Hathaway’s Reinsurance Division and President of some of its insurance subsidiaries. He also helped form Bankers Trust Insurance Derivatives Business and a related group of insurance and reinsurance companies. A US national, Tom has a B.A and M.M (M.B.A) from Northwestern University and lives in London. Alan is Chairman of the Consumer Council for Water, Senior Independent Director of Sweett plc, and NED of IAC Acoustics Limited, and of two renewable energy businesses. In his executive career, he was Chief Executive of six companies, four of which, including Costain and Jarvis, were in need of rescue and turnaround; two were in renewable energy. Additionally he is Chief Advisor - Restructuring Practice - at PwC. He became a member of Lloyd's in 1985, has been on the Board of the ALM since 2006 and became its Chairman in September 2012. He has been an elected member of Lloyd's Council since 2007 where he serves on the Audit Committee, Remuneration Committee and Capacity Transfer Panel. He is Chairman of the Hampshire Cultural Trust and the Mary Rose Trust, a Trustee of Winchester Cathedral, and Governor of Winchester University. He was High Sheriff of Hampshire for 2010/11. Robert is a Chartered Financial Planner with the London office of Independent Financial Advisers Argentis Financial Management Ltd. He is an Associate of the Chartered Insurance Institute, and was formerly head of the insurance department at a private bank and investment management house, where he provided independent advice to Members of Lloyd’s and worked on the Lloyd’s Reconstruction & Renewal project. He was a Name from 1989 to 1998, then underwrote through a pooled conversion vehicle. 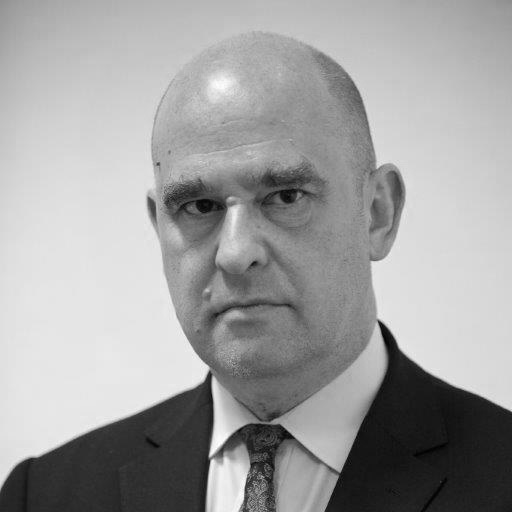 Peter is a Senior Advisor to his portfolio of clients within the Coutts Executives Office and is Head of the Lloyd's of London Office for Coutts UK which provides support to clients who underwrite in the Lloyd's market. He has over 30 years of experience in financial services, advising private clients since 1995.